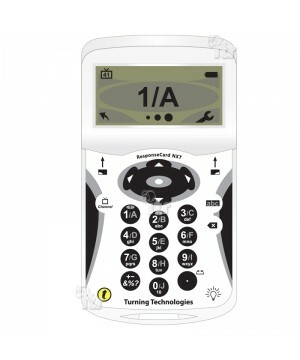 This more complex interactive voting keypad features a larger LCD screen which allows for more complex text entry (using a “text message” style input on the numerical keypad). Answers and text responses are displayed on the integrated LCD screen giving the user more control over any answers. For more information on how to hire Interactive Voting equipment, contact our sales team today.